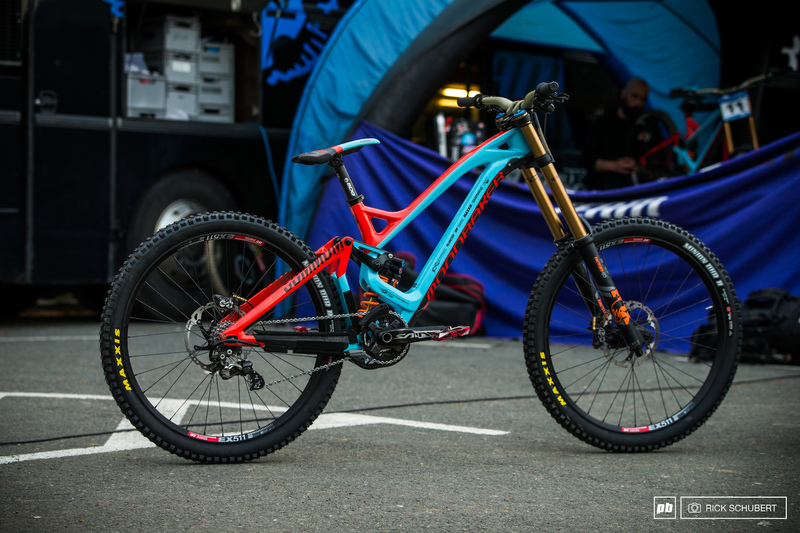 Laurie Greenland is one to keep an eye on at this year's DH World Cup - his win at the iXS European DH Cup in Maribor shows that he's in good form heading into the official start of the race season. The young Brit just signed a fresh contract with MS Mondraker for the next two years, so we stopped by to to find out about more about the Summum he'll be on in Croatia. 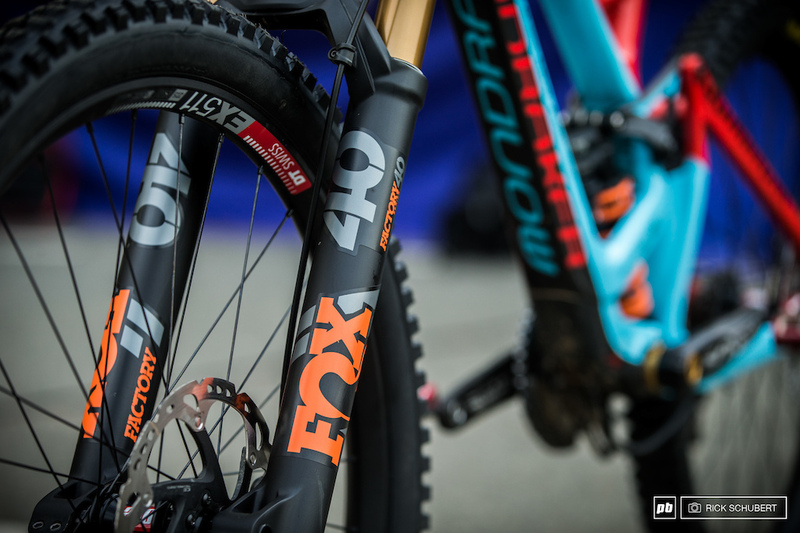 Fox's DHX2 takes care of the 205mm of travel. During the off season Laurie tried a few things with his suspension and ended running faster rebound and a more progressive set up than last year. 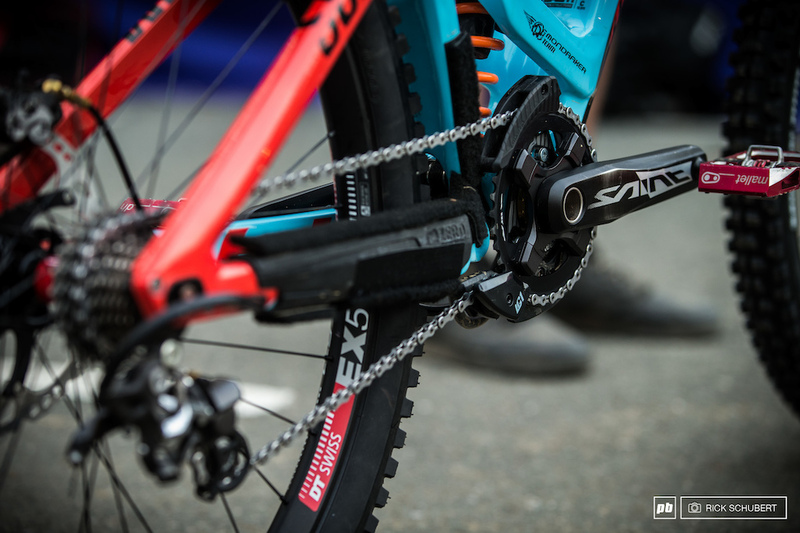 Laurie was experimenting with the Summum's two chainstay settings (450 and 455mm) to see which position gave him the balanced feel he was looking for. 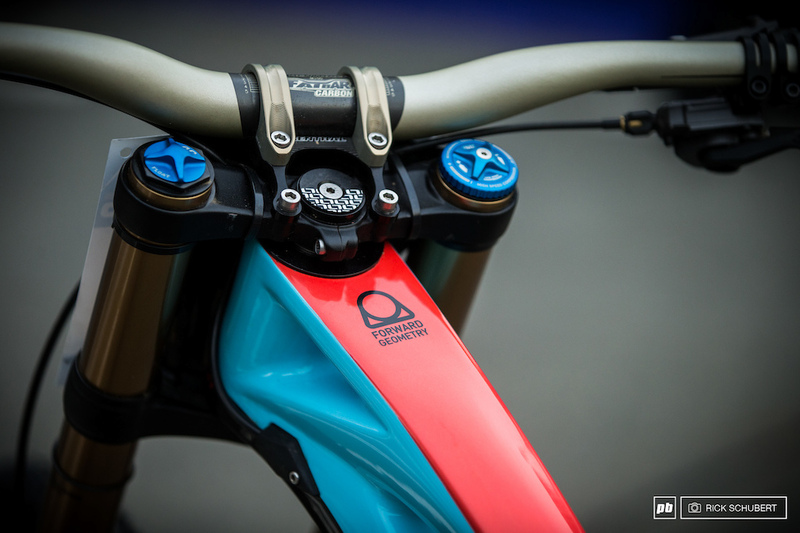 Laurie's also able to increase or decrease the bike's reach by swapping out headset cups. 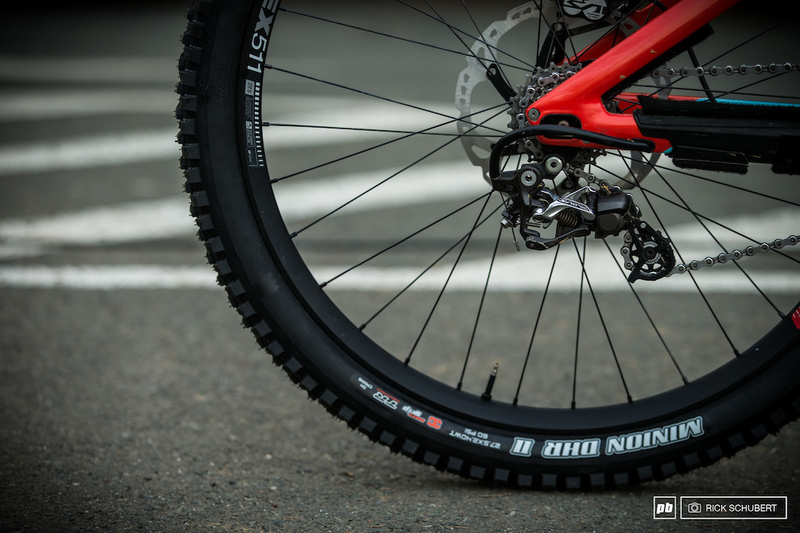 Maxxis Minion DHR II tire are mounted on DT Swiss EX511 rims. 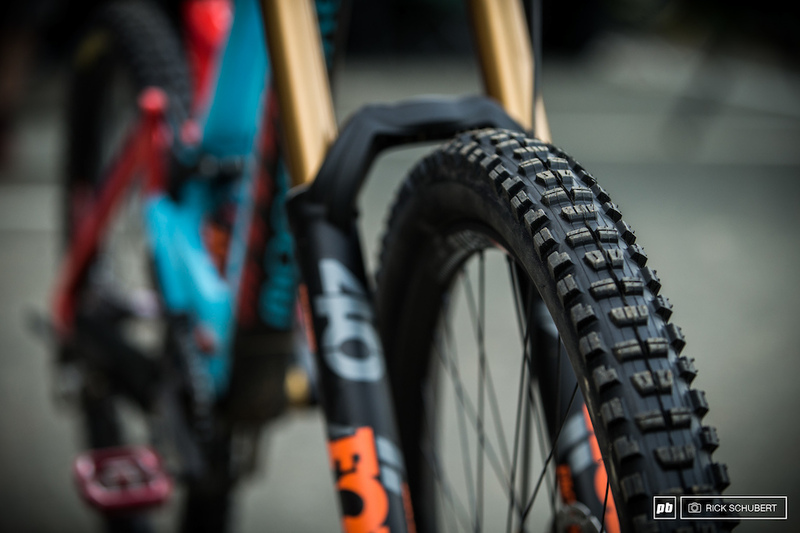 Another change from last year's setup is a wider rim and foam insert for increased flat protection. Why do they put a Hex for the axle and Torx for the brake mounts, could they choose just one to make it easier to work on them. I can't upvote this enough!!! Why have Torx on a bike at all? @Hockerz: because it's less likely to get stripped and can sustain higher torque. @Hockerz: More like, why have hex on a bike at all? Torx > everything else. @Mac1987: except when they are designed poorly. Shallow rotor bolts are a prime example. These are more likely to get stripped out than any other bolt on the bike, and they are typically the only torx on the bike.... go figure. Also, nothing on a bike requires enough torque to strip a hex. When people do it, it's because they've f*cked up. Lets just use a 5mm on EVERYTHING! @ninjatarian: have you ever had to clear out hard packed gunk from a torx vr a hex head? the point of more torque is valid in very few cases since the bolt head is rarely the weakest link. It. . . Doesn’t. . .have. . A wattler bottle. . . cage. Are you seriously telling me you don’t drink water on your dh runs? @Luneec: Pro tip: air compressor maxed out with high pressure blast nozzle. Will clean any bolt head out 100%. You haven’t seen clogged bolt heads until you’ve worked on the underside of a commercial zero turn mower. i always run my seat slightly twisted to the left. i have no idea why but all my bikes end up with the seat twisted this way so now i just set them that way from the outset. @aidy: Plums a little out of whack? @aidy: coz you dress to the right? That is one Awesome looking bike, hope he can get some good results this season.. He moved the headset and rear wheel back 5mm. Supposedly to change his center of balance point in relation to the bb. Whether it's a physical difference that amounts to something or just one that makes him feel better (more confident) isn't important. How he rides it with the changes is. I think someone with as much skill a familiarity with the bike as Laurie would be able to feel a change like that almost instantly. 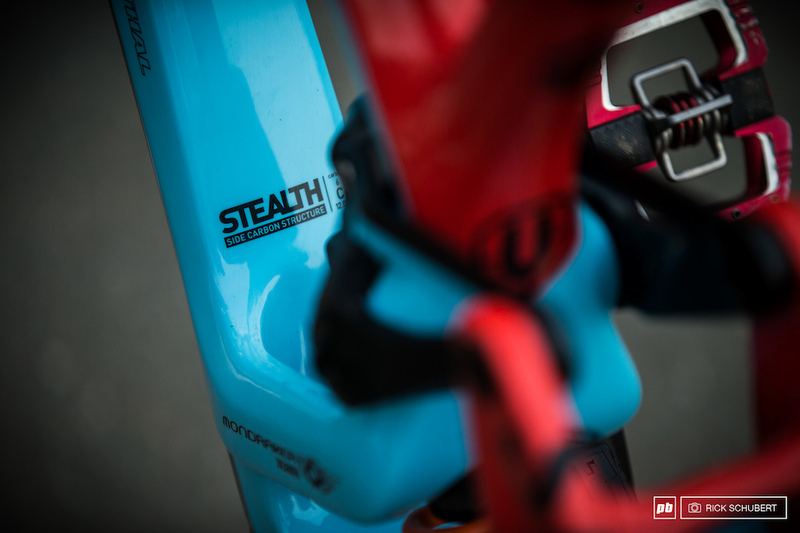 I am far less talented then Laurie Greenland, but last week I was demoing a new bike and difference between running a 40mm stem and 50mm stem felt like night and day, even on a bike I had only ridden for a couple hours. 5mm reach adjust would probably be similar for Laurie. 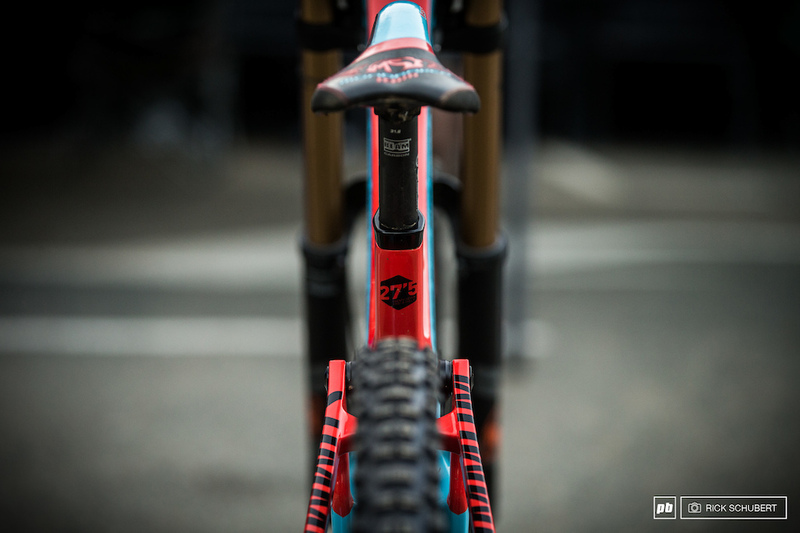 I have also heard of Semenuk telling Rockshox his fork was too high and it was like a 3mm difference, or Gwin being able to identify 1psi difference in his tires. The top guys are like wizards when it comes to feeling differences in their bike set up. 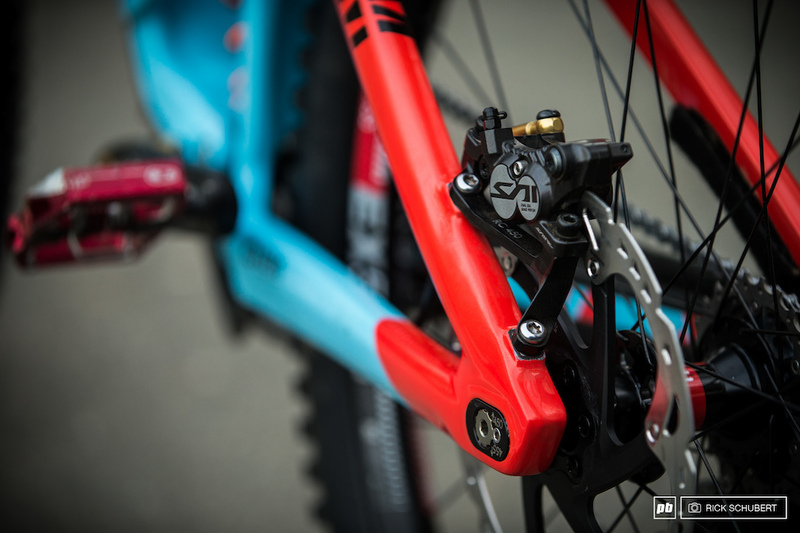 All else left alone, lengthening the chainstay will increase wheelbase and stability. It will also increase leverage on shoc,, making it feel softer. 5mm can make a noticeable difference. Given the fact chainstay length usually ranges in between 430mm and 455 you,ll notice that's only 25mm of difference overall. 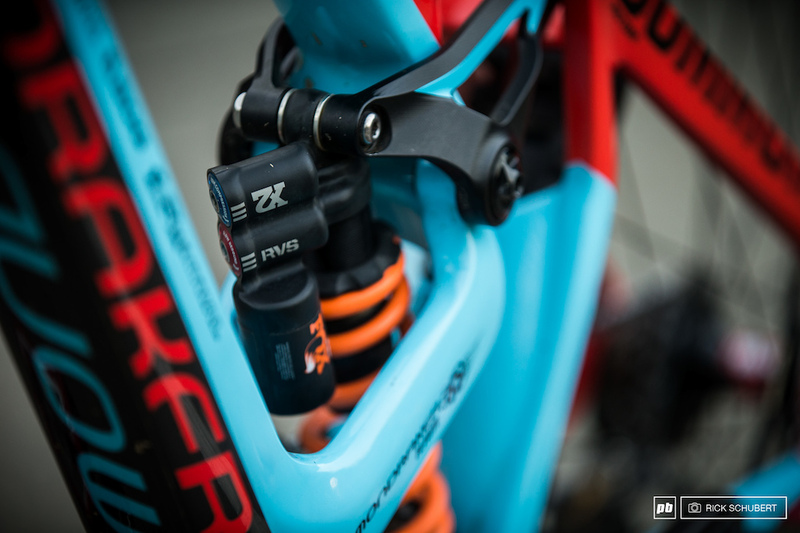 So 5mm is 20% of the average difference between a really lively trailbike or even dirt jump bike and the longest most stable dh rigs on the other end of the spectrum. Imho that explains a lot. 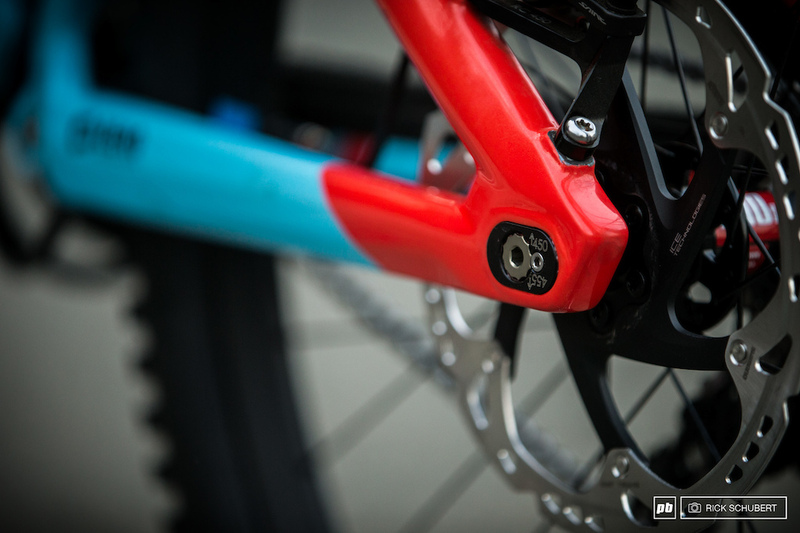 Also chainstay length is what effectively counteracts the headangle of a bike in regards to a riders weight placement. So if you wanna do the math,go figure what a change of one or half a degree in head angle translates to in terms of increase in wheelbase. I bet it'll be around the same mark of 5-10mm so it really makes sense for him to adjust them to match how he setup the rest of the bike. The big problem is people almost always only talk about those numbers seperately as if that change was just made to "make it more stable" when in reality what he did was make the setup balanced in regards to weight distribution which then leads to more stability and control. Yeah so sick! Fingers crossed he gets his break this year. Strong pick for the fantasy team. 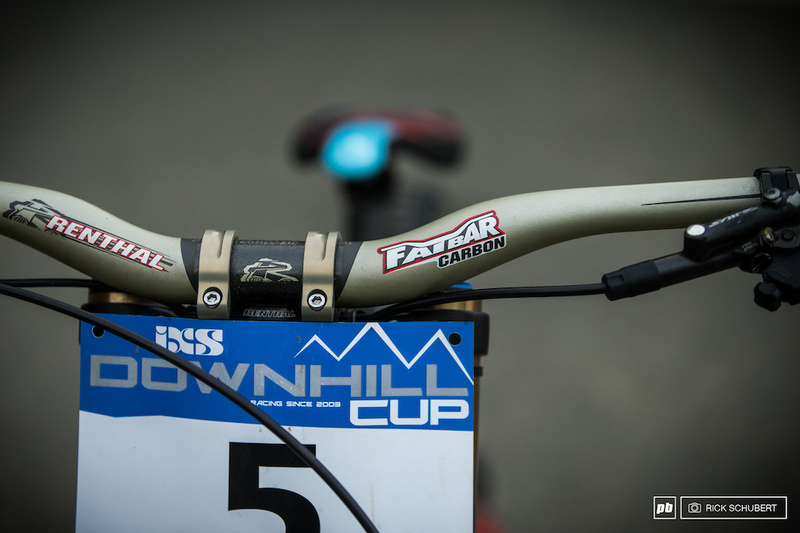 What about Danny Hart? Does he wish he was on mondraker? 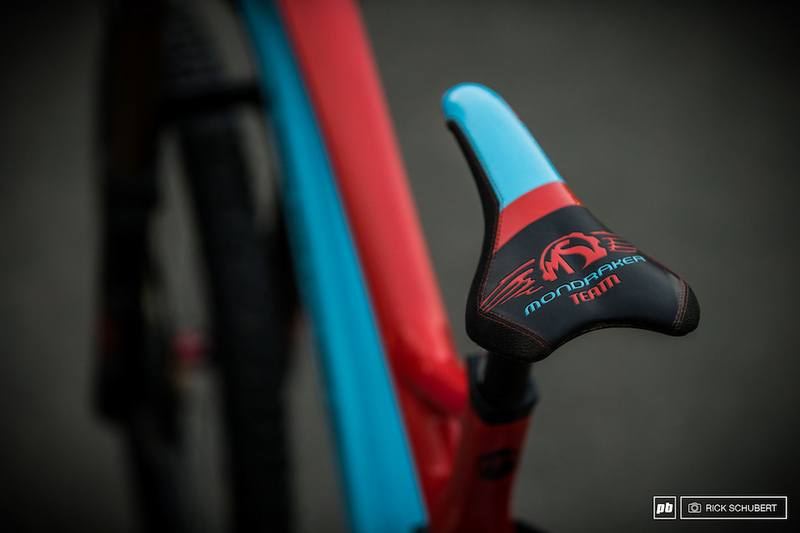 Where do I get reach adjust headset cups for summum carbon? Cant find them googling! @mtbskills: nevermind just found it. Thanks!!!! Probably learned it from his time with Danny Hart. Hart only ran like two tire setups last year... DHR front n back or SHORTY front and back. Yet somehow he still won the race!!!!????? Its almost like he didn't even sit down!!!!????? Looks like my seat after I ride. Mine due to difference in leg length. Start out straight, during ride one leg extends further pushing more on one side of saddle than the other leg. You'd think 700c would be the best wheel size considering the all the concrete! ??? ?